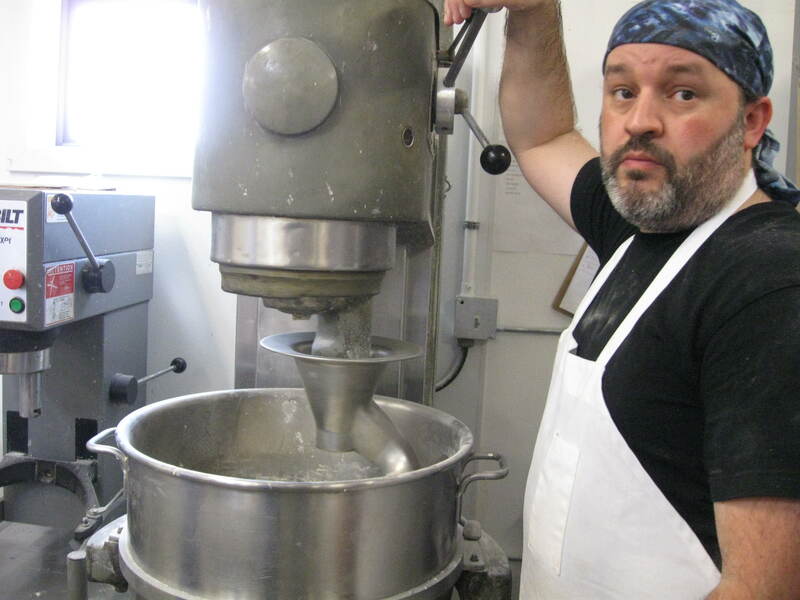 A peek behind the scenes is one of the pleasures of being a travel writer; I get to see bakers, beer brewers and ice cream makers at work, accomplishing their wizardry. 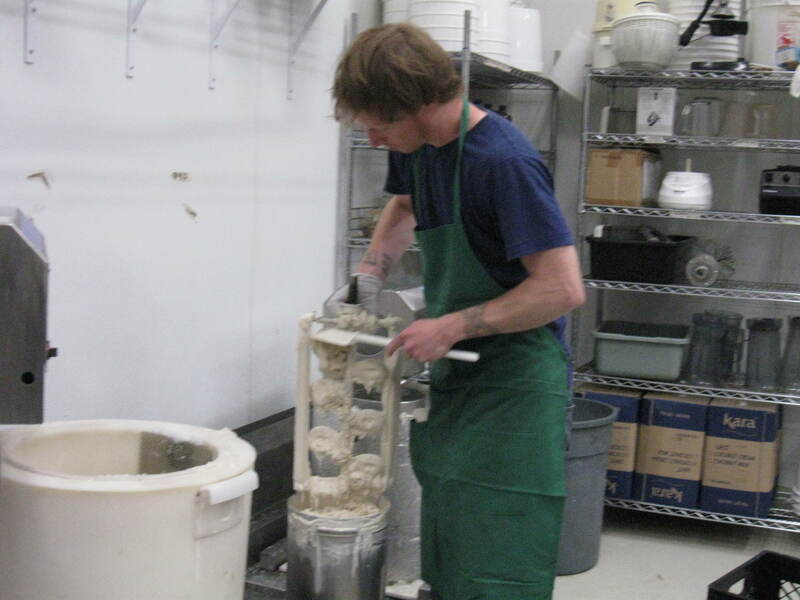 In the spotlessly clean production area at Mallard Ice Cream, in Bellingham, Washington, I’m watching them churn out ice cream in 5- gallon batches. They use a traditional salt-and-ice freezer and add real food: ripe local fruits, coffees, teas, spices, herbs, and about 2,000 pounds a year of locally grown strawberries. Only the root beer and licorice are made with added flavorings. The 18% cream base mix comes from an organic dairy. 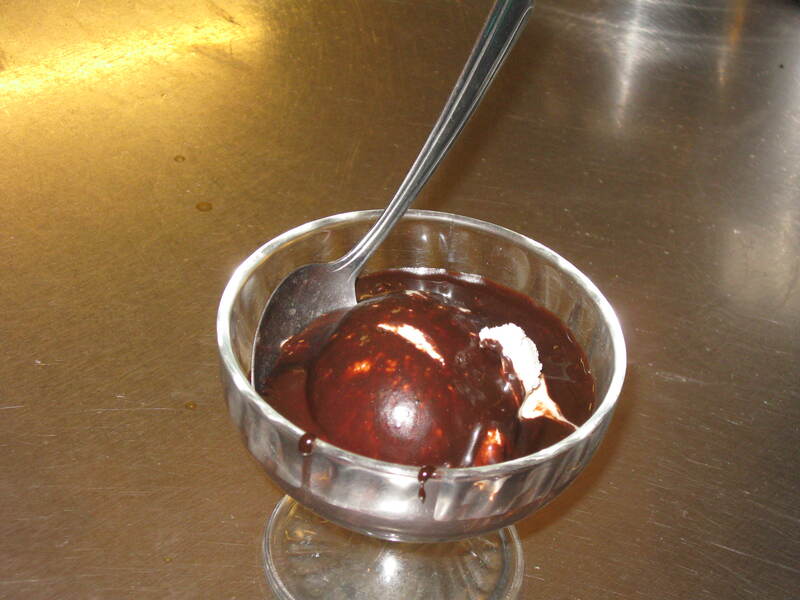 In summer months, Mallard sells 300 gallons a week of the sweet, cold stuff and experiments constantly with flavors. I’m tasting a few samples–well, more than a few–and each one is delicious and far above ordinary. Avocado, lime, ginger, rose, espresso, basil and cinnamon are good, if unusual, but even the basic strawberry is special. After careful study I’m settling on the Belgian Super Chocolate as my favorite. So far. I’ll try the tamarind/apricot/cayenne combination next time. 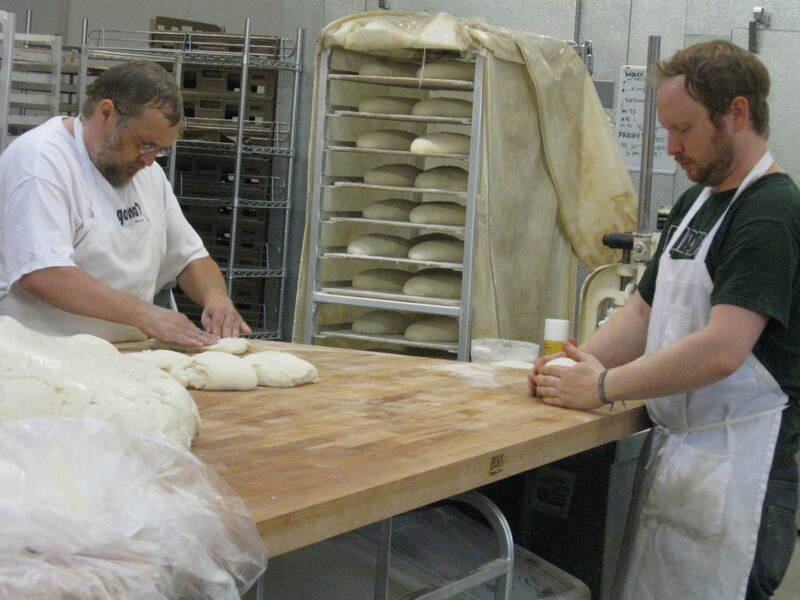 First, I hope to learn a few secrets of professional bread-making at Avenue Bread, another popular Bellingham company. Watching experts knead heaps of dough on wide wooden tables, I can already tell this is beyond me, though fascinating to observe. Avenue bread is extra-tasty in part because they rely on natural starters more than commercial yeast, and the hand-shaped loaves rise slowly to allow the grain flavors to develop. Then the loaves go into a stone-hearth oven, and the whole place smells like–well, fresh-baked bread, and what has a better aroma than that? 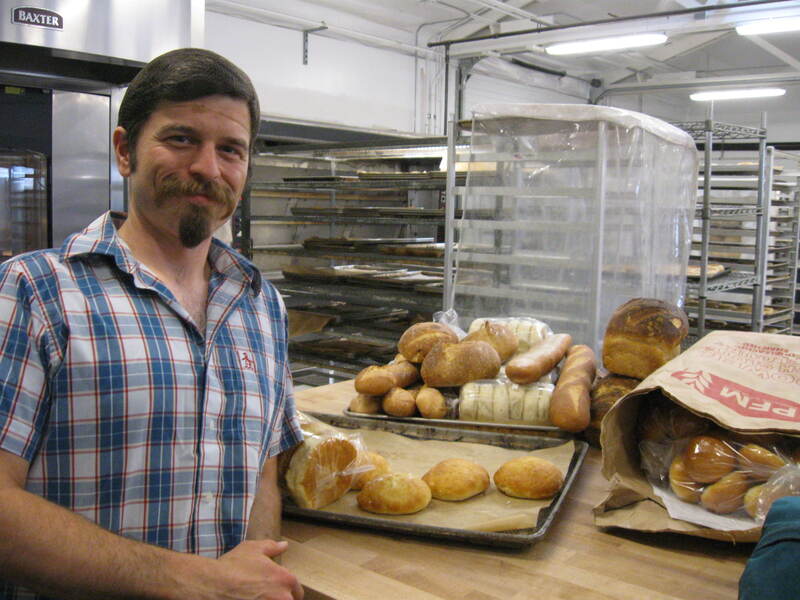 Avenue bakes some 2,000 loaves every weekday, and 3-4,000 on weekends. They supply restaurants and markets and have 3 bakery cafes where you can buy soups, salads, and sandwiches made from that terrific bread. I’m fond of the rosemary loaf, especially when it’s hollowed out and filled with smoked salmon chowder from Boundary Bay Brewery. Boundary Bay is the largest brewpub in the U.S. (according to the Brewers Association), with 16-18 beers brewed on the Railroad Ave. site. House brews include Dry Irish Stout, Bellingham Blonde, Best Bitter (ESB), Scotch, Imperial Stout, IPA, and Amber. The brewery has an indoor pub, a porch with picnic-style tables, and an outdoor tented area with a stage, often used for charity fund-raisers. The atmosphere is lively and casual, the service friendly, the food good. Here’s where the chowder comes in: Boundary Bay makes a superb salmon chowder, which I’m eating (second helping) from a rosemary bread bowl while sailing on the Shawmanee, a 65-foot charter ketch. 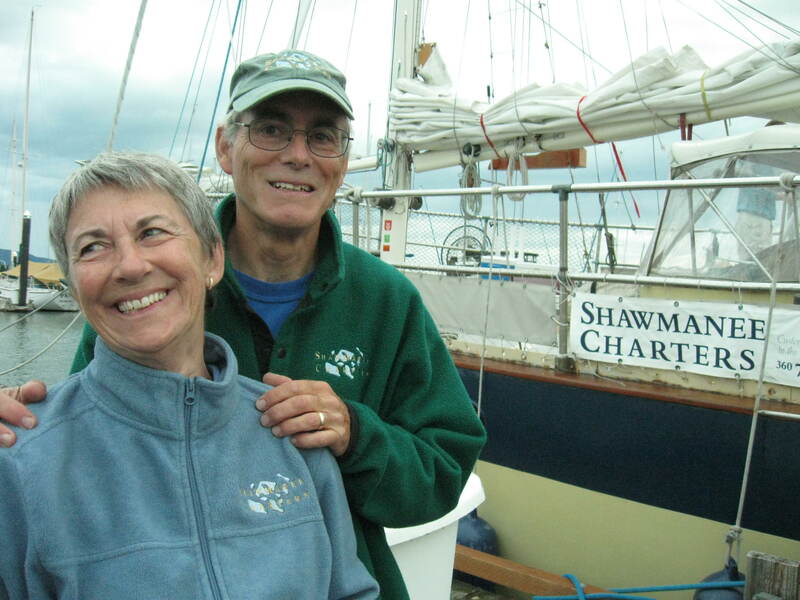 The boat’s owners, Don and Kathy Beattie, offer sailing trips for up to 46 people, and one is the Wednesday Chowder Sail, a 3-hour sunset sail around Bellingham Bay. The Chowder Sail only happens in summer, but the Shawmanee hosts many other trips on Northwest waters. It has comfortable seating and a spacious below-deck cabin, and the Beatties’ hospitality is second to none. Nice close-up photos Marilyn! I bet you’ll get lifetime discounts on ice-cream for this terrific review. With family in Bellingham, this will be on my list for the next trip, thanks. You’d like this place, Evan. They even have hops growing along the sidewalk and use them in some of their beers. I can see a good mystery set here. Thanks, Susie. I didn’t get good shots of the piled-high ice cream cones; I think they went too fast. Discount or not, I’ll happily go back for more. I didn’t get pictures of the duckies on display either (Mallard’s, get it?) They’re whimsical but not cutesie.